View More In Serving Utensils. 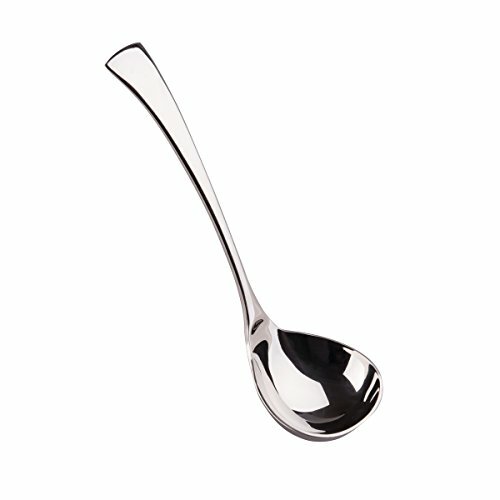 The IMEEA® 18/10 Stainless Steel Gravy Spoon with IMEEA lifetime warranty. Buy with Confidence! Made of high quality stainless steel construction means they will last for years or lifetime. Material: Made of durable 18/10 stainless steel with a reflective mirror finish. Solid and very sturdy. Multi-function: Perfect for ladling gravy, soup, broth, consomme, sauces and salad dressings. Classic and stylish style works for everyday meals and special occasions. Seamless design for easy cleaning. Dishwasher safe, avoid prolonged exposure to water or acidic foods to prevent spotting. Dimension: Length: 7.5inch/19.5cm; Head Width: 2.3inch/6cm; Weight: 3.17oz/90g. Comes with IMEEA lifetime warranty, buy with confidence! If you have any questions about this product by IMEEA, contact us by completing and submitting the form below. If you are looking for a specif part number, please include it with your message.